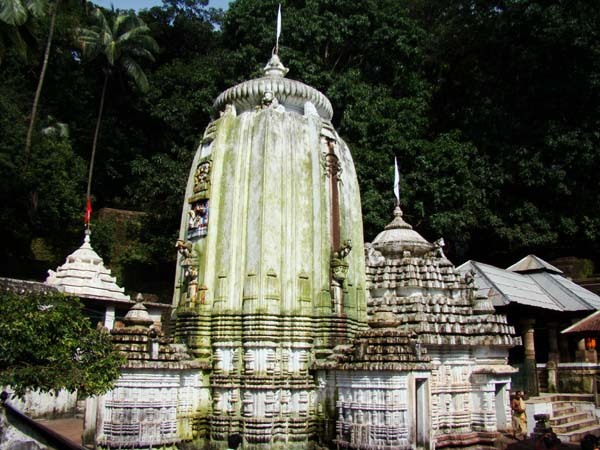 Kapilash temple is situated in the north east corner of Dhenkanal town at a distance of 26 Km from the district head quarters. The temples is situated in about 2239 feet from the sea level. The temple is 60 feet in height .There are two approaches for the temple. One is through climbing 1352 steps and the other is ‘Barabanki’ or the travel twisting way. Narasinghdeva-I constructed the temple for Sri Chandrasekhar in 1246AD indicated in the Kapilash temples inscription .In the left side ‘Payamruta kunda’ and in the right side ‘Marichi kunda’ exists. The temple has a wooden Jagamohana. Sri Ganesh, Kartikeya, Gangadevi etc are found in the temple. Patita pavana Jagannath also remain in the temple as ‘Parsva deva’. Lord Biswanath temple is also situated in Kapilash. According to some scholars this temple is older than the Chandrasekahr jew temple, hence it is known as ‘Budha linga’ .There are many legends about Kapilash pitha and its significance. History says it was the ashram of Kapila muni, to some scholars it is the second Kailash of Lord Siva. Sridhar Swami who wrote commentary on Srimad Bhagavatham stayed there .There are some monasteries in the premises. Lord chandra sekhara worshipped by the chintapatis in 36 Niyogas. Maha Sivaratri is the greatest festival at Kapilash. The Temple of Narayan, Biswanath, Bhubaneswari & many maths can be worth visiting. Besides that Deer Park, Science Park also add to the attraction to the place.